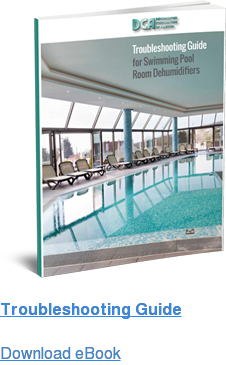 DCA offers replacement dehumidification systems for most swimming pool rooms. 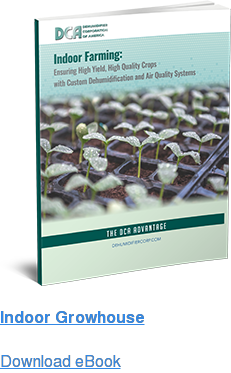 Our high-quality and economically priced replacement dehumidifiers are available in horizontal or vertical cabinet construction, with capacities ranging from 1.5 to 30 nominal tons with 650 to 14,000 CFM of supply air. When it's time to replace your swimming pool room dehumidifier, there are a few ways to get started. Determine whether the failed dehumidification system was correctly sized when it was new and if it adequately served its intended purpose. Often, parameters have changed enough over the years to require an updated dehumidification unit size or capacity. For example, if pool water temperature has risen or a hot tub or spa was added to a pool room space, the room's moisture control requirements have likely changed. 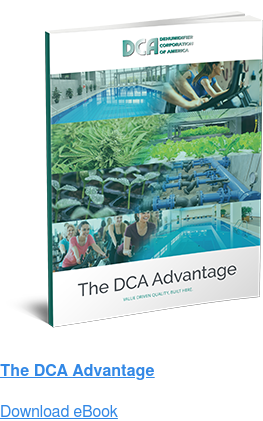 DCA's engineering team can help determine if the old system was adequate or if a new larger – or smaller – system may better serve your needs. We realize that many of our customers have dealt with groups that may no longer be in business. Our team understands that this puts companies in a difficult position where they may be uncertain of what their options are for replacement. Our team of specialists and engineers are committed to working with you to determine what DCA unit will be the best fit for your application. As you consider your replacement strategy, take advantage of DCA's more-than-35 years of experience in pool room dehumidification with both air cooled and water cooled solutions, along with our industry-leading, 5-year refrigeration coils warranty and 3-year parts only warranty on all of our well-engineered systems.